Gamer Goodwill: Can PS4 Use the Same Tactics in 2015 That It Used in 2014? When discussing the endless ebb and flow of what many folks know as the console wars, I hear a lot of gamers citing the same tactics or strategies as reasons why a particular console is on top. “The machine with the worst graphics has sold the most for two generations,” they’ll say. Or, “it’s all about games.” Which, in the end it often is. Still, I can’t help but feel that each generation introduces a new and highly unpredictable agent that we’ve not yet seen before; a volatile, unknown property liable to explode at any minute, or collapse under the weight of its own immeasurable fertility the next. Last generation it was Wii’s motion controls and the blue ocean. This generation, the largest determining factor has been something I’m calling “gamer goodwill.” This is a fickle, volatile, and all-around dangerous property we’re dealing with here. So far for Sony, it’s been a complete boon. It’s not terrible logic, but one can’t help but wonder how this overwhelmingly pro-gamer attitude even came to be. Former SCE President Jack Tretton left Sony after PS4’s successful launch in March, with nothing but good things to say about his time with the company. So why leave? To me, it’s simple. It’s not every day that your competitor flubs so horrifically that you and your team become heroes merely by maintaining the status quo (in this case, the used games controversy). Tretton has seen the Batman films. He knows you can either die a hero or live long enough to become the villain. And as a man with 20+ years in the business, he recognized that the celestial worship Sony currently commands, though amazing, simply won’t continue indefinitely. Microsoft has largely behaved itself for over a year now, and despite PlayStation’s bold new direction under folks like Shuhei Yoshida, this is still the same company that charges $80 for a 32GB memory card. As a business obligated to seek new profit avenues when it can, it’s highly implausible that Sony will never, ever displease gamers again, even if that day is months or years off. Like I said — gamer goodwill is fickle. My point here is, the PS4 so far has been an outrageous and incredible success story, and with 10.1 million units sold worldwide, it’s not yet showing signs of slowing down. But neither did the Wii at this stage. And unlike the Wii, some analysts are predicting a dip sooner rather than later. If PS4 is to remain unchallenged (which, as someone who adores what PS3 eventually became, I absolutely want to happen), Sony needs to make a smooth transition from the wave of gamer goodwill, it’s current ace it the hole, to the tried-and-true strategies that keep dominant consoles steady. Strengthen the brand. Establish a steady supply of exclusives. And, for goodness sake, drop that irritating “this is for the players” marketing slogan. You’re preaching to the choir, guys! No need to force it. The reason a smooth transition is so important is because PS4’s success opens doors that can be very tough to unlock if your machine isn’t currently king of the hill. To me, the first matter of business is to continue hammering home the idea that Sony is not just a hardware company, but a game-maker, and a premiere one at that. I like that Sony’s own studios are granted autonomy, but an unfortunate side effect is that “average joes” who buy game consoles (and with the numbers PS4 has posted, there are now millions of “joes” who own PlayStations) don’t necessarily understand the importance of the exclusive games they’re now privy to. Yes, Infamous Second Son is PS4-only, but why? When you play Mario, or even lesser known properties like Pikmin, even your grandmother could tell you that it can’t be played anywhere else. Similarly, the Xbox 360’s legion of unsavvy shooter-bros all understood quite well that Xbox was the only place to experience Halo: Reach. But does anyone who doesn’t read gaming websites understand that Sucker Punch and Ready at Dawn are bringing unique experiences that can only be had on PlayStation? At least half of the aforementioned “X-bots” who’ve gone next-gen are now PS4 owners, and so far, I’m not convinced Sony has communicated this. 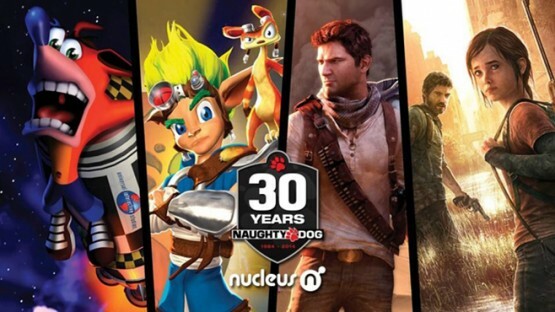 The obvious exception is Naughty Dog, a studio whose reputation rings loud and clear to anyone with a television set, internet connection, or functioning eyes and eardrums. Clips like this teaser for the upcoming Naughty Dog anniversary video are fantastic examples of how Sony can cement the idea that PlayStation offers unparalleled exclusive experiences to gamers. Ironically, it’s not Naughty Dog who needs a boost there. It’s everyone else. Last year Shuhei Yoshida remarked that he wants Nintendo to succeed, mainly because the Wii U-maker does a wonderful job “inducting” younger folks into the gaming pantheon. Though true, his statements raised a single question in my mind. Why can’t Sony do the inducting? Games like Tearaway and established properties such as LittleBigPlanet help, but they aren’t selling brand new PS4s to kids (especially considering the former’s home on Vita, a system I’d wager has one of the most overwhelmingly adult userbases in gaming history). The PS2 had God of War, but it also had Jak and Ratchet. Those are the magical experiences our pre-teen gamer selves never forget, and despite PS4’s raging success, Sony is far worse-off in this category than it has been in the past. Yes, it’s nice that Tearaway is coming to PS4. But when Sony is able to deliver a stream of great exclusives from the likes of Naughty Dog, Sucker Punch, and its other studios, while also churning out those Ratchet and Jak-esque gems that instill brand loyalty and perform gamer induction? That’s when the real PlayStation magic happens. It’s the reason PS2 is the best selling console of all time, sporting numbers not even the mighty Nintendo DS can topple. 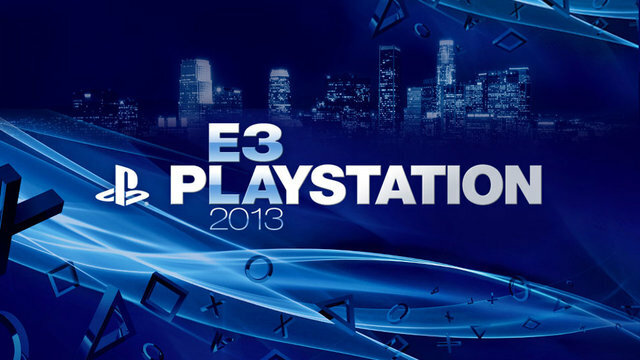 The nature of PS4’s success so far, though impressive on paper, feels like a facade in comparison. Despite my somewhat jaded quips, I’ve never had more confidence in PlayStation’s executive management, and that in itself is a fantastic thing. Still, it really is about games in the end. The Order: 1886 received relatively negative buzz at PAX, and Destiny, though multiplatform, has essentially functioned as a Sony exclusive and is receiving less-than-Halo levels of praise and renown from critics. Game-wise, the future has more than its fair share of uncertainty. I don’t expect that PS4’s lifespan will be without challenges, roadblocks, or unexpected twists, and no console’s path forward ever is. But complacency is a force stronger and more dangerous than any NPD sales report. Regardless of PS4’s state of supremacy in 2014, this “war” is far from over, and I’d hate to see such a fantastic opportunity to capitalize be squandered, even the littlest bit, by a lack of foresight or consistent quality software. 2015 titles like Bloodborne and Uncharted 4: A Thief’s End are sure to lead the way, and a successful handoff from the gamer goodwill revolution to the release of those titles would surely be a massive achievement for Sony. If that comes to pass, I think I’ll feel a bit more comfortable. In the meantime, though, I suppose what I’m trying to say is this: Sony, for your own sake, please, please stay vigilant.